The celebrations of Japan’s decision to turn off its last nuclear reactor may have been premature. Few have noticed this development: a key uranium deal with Kazakhstan, the world’s largest current supplier of nuclear fuel. 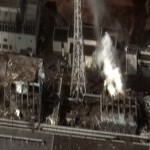 Japan’s “nuclear recess” could prove a short one.